I have been in Madagascar for 3 weeks and it has been an enjoyable and productive trip. My main goal was to come back to Ranomafana and check out some of the existing hotels, and to see if there is any good available land to build a restaurant/hotel on at some point. My friend Khen and I spent a lot of time walking around and talking to various landowners. 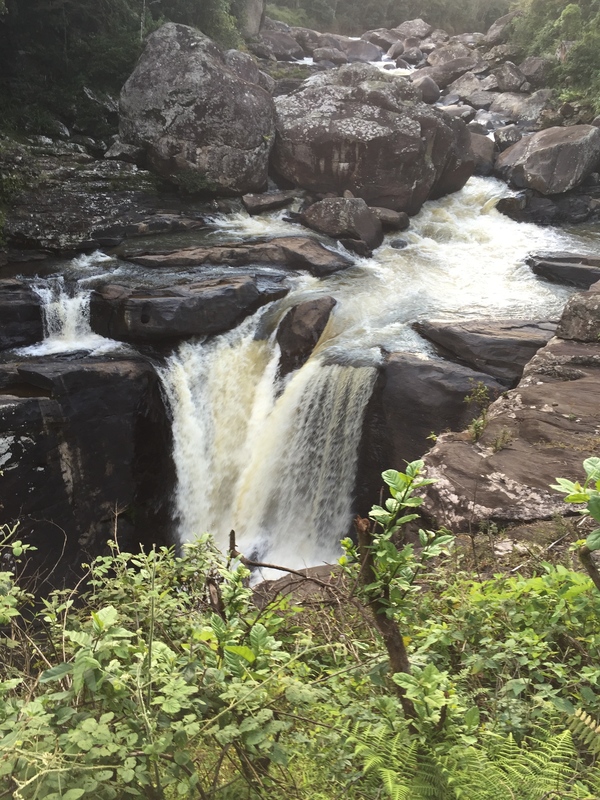 We were able to find a really nice piece of land that is very close to Centre ValBio and the entrance to the rainforest, which is part of Ranomafana National Park. I’ve also had some help from Dr. Pat Wright who founded both the park and Centre ValBio. The land has a great view of a waterfall as it overlooks the large river that separates the park from the road. I hope some of my friends and family from America can see it in person someday and I will keep everyone updated on my progress from home. In the meantime we are thinking about expanding Khen’s existing restaurant to hold 50 people rather than 25-30. We’ll also do some renovations to the flooring and probably repaint the building. This will help us get a lot of business for when tourists start to come into the area, which is usually from July-December. I am leaving CVB tomorrow and I’ll stay 1 night in Tana. Wednesday I will be on a plane home and Thursday I will be back at my house. 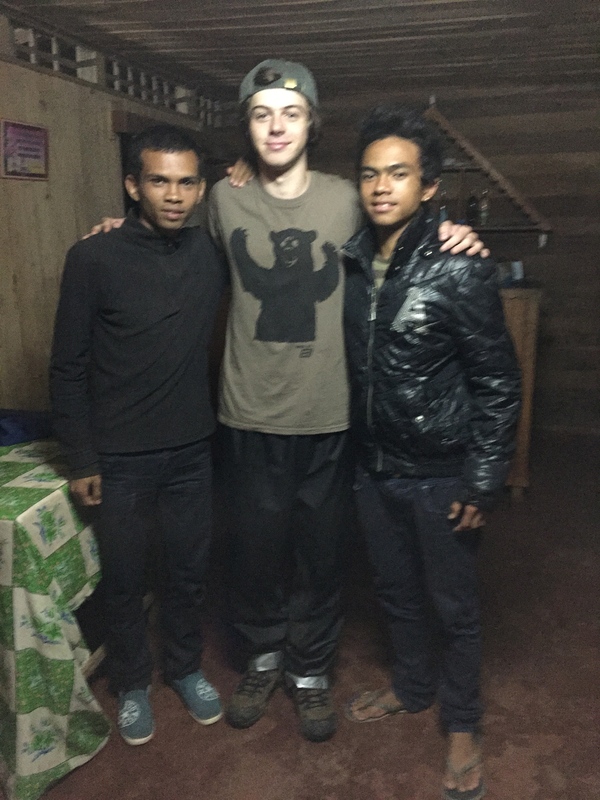 Attached is 1 photo of myself with Khen (Left) and his brother Patrick (Right). I am excited to get home later this week where I can share many more pictures and plenty of information about this trip. I am in the Rainforest! After about 6 months of formulating my idea to bring a nice new hotel to Madagascar, I am back in Ranomafana National Park. I once again traveled from New York to Centre ValBio (CVB) with Stony Brook’s study abroad program; however, on this trip I will not be taking their classes. I am here on my own to make decisions about where I will go each day and to move forward with my business. 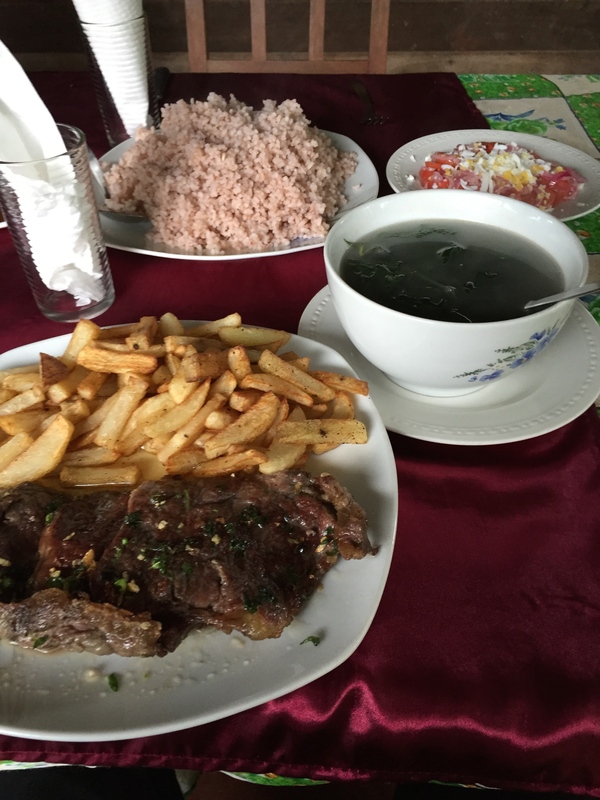 I am using CVB’s living and dining facilities, though sometimes I opt for a better meal that is not being prepared for 30+ people by going up the road to the restaurant that is operated by my Malagasy friend Khen and his family. There are 2 ways (that I know of) to fly from New York to Madagascar. No flights come in directly so travelers must stop in either France or South Africa to transfer planes. The route that I took began with a flight from JFK to Johannesburg, South Africa. 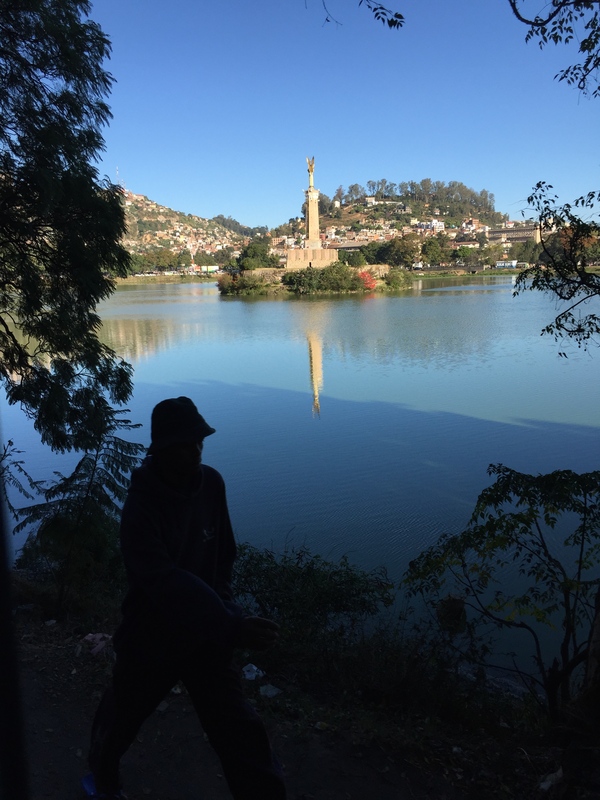 This was followed by a much shorter flight into Madagascar’s capital city of Antananarivo (often called “Tana” for short). 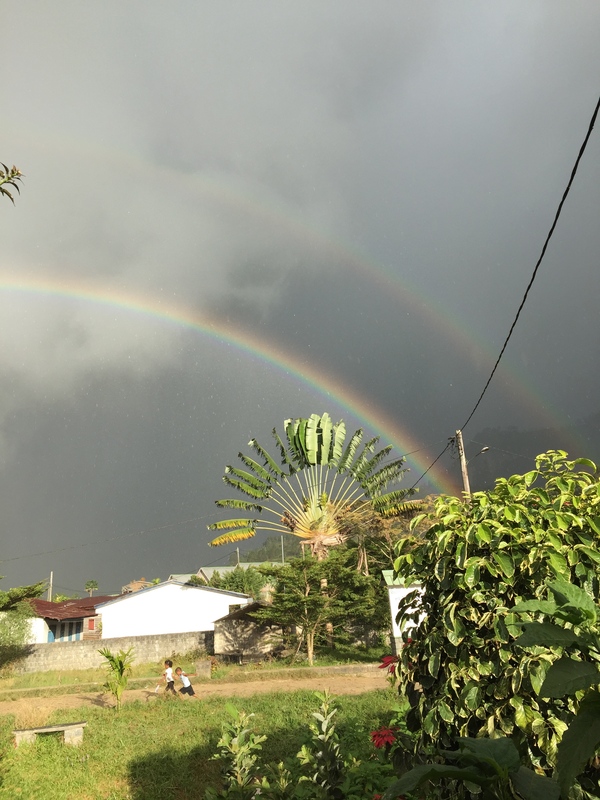 After a 1-night stay in Tana, the study abroad group took a bus south to reach Ranomafana. Luckily for me there was not enough room on the bus for all of the luggage plus a traveling group that totaled about 20 people. So instead I rode in a Jeep with Dr. Pat Wright and 2 researchers. Pat was in a rush to reach CVB to take care of some emails, so we didn’t wait up for the bus and arrived at CVB quite some time before the rest of the group. I have taken a few walks in the area to take a look at land that is potentially available for construction of a hotel. I also went with the study abroad group on a walk inside the national park where lemurs live, but somehow we did not find any. It’s winter here in the southern hemisphere, and though it’s never cold enough to snow in Madagascar it’s certainly chillier than when I was here from September-November. I am having a good and productive time here so far. This trip will only last a few weeks so I will be home before the end of June. I will put some pictures below of some things I’ve gotten a chance to see so far. I’ve now returned home after spending 10 weeks a full 8,759 miles from my home of Seaford, NY. It feels peculiar so far because I had been thinking of the Madagascar rainforest as my home for a while. The relaxed yet enthusiastic way I went about living every day in Ranomafana National Park was a great mindset to be in and it really allowed me to have what amounted to the best experience of my life. I feel really fortunate to have been able to study with some great professors, researchers, and other students. Everyone’s independent projects went well and it was great to support each other’s work at the presentations we did in Ranomafana and Antananarivo. I was pleased with the results of my crab research; out of 200 crabs I sampled and measured in the area I found 2 different species. Since the national park was founded in 1991 nobody had done this study yet. Since I was only able to go to about 10 locations of the hundreds in the area, some future research definitely needs to be conducted on the subject. If I had the opportunity to continue any of my study in the future that would certainly be something I would be interested in. There are people and places that I already miss. 10 weeks is a long time to spend with a group of 15 people for 18+ hours every day. I didn’t sleep in a room by myself for 73 nights. These 15 people who were all previously complete strangers to me all went through the same activities as me for an extended period of time. We all saw and heard the same sights and sounds, and we all breathed in the clean Madagascar air together. Our close proximity for this time resulted in a uniting experience with strong bonds that formed and will remain a large part of how I remember the trip. I’m glad that I made some good friends. I am sure we will always speak fondly of the times we shared halfway around the world where we found each other and ourselves. If I can’t get myself a ticket back to Ranomafana to work on crabs, I want to help my friend Khen and his family turn their restaurant in a hotel. I know we could make it work and it would be a terrific way for me to get back to this rainforest where things might seem like they are a little behind the USA….but it’s the absence of some things and simplicity of others that are major factors of my attraction to that style of living which is impossible to sustain or even to obtain in New York. I know now what I really need to have in my life in the short and long term to survive and enjoy every day from morning until night. I am happy to have felt so much love and support from everyone who feels like they got something out of reading about my time in Madagascar. I know my mom would be my biggest supporter if she were here. I thought about her often during my trip and feel thankful that her adventurous spirit runs through me and gives me a desire to do special things when an opportunity presents itself. I did my best to extend the part of me that is her into every interaction I had there, and I am feeling more connected to her now than I had been for a while. I hope I can share this connection going forward and that people can see and feel Kim’s presence when they interact with me. I am not sad, I am happy, and I know that is what she wanted for me. Thanks for taking an interest in my writing and enjoy the pictures. Feel free to send me an email at trey_murphy23@yahoo.com with anything you might want to say or ask.